We wanted to create one site for cat fans! We needed to make a project but we didn't know how to code. 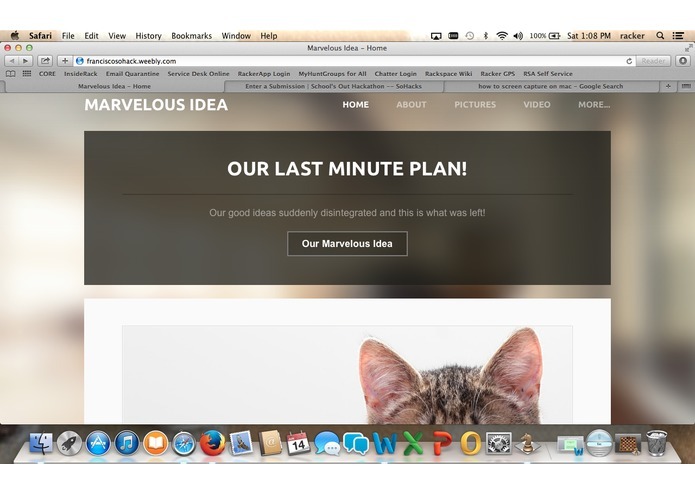 So we used weebly.com to create a website. We decided to make our website on cats simply because most everyone likes cats. We target cat fanatics everywhere. Our crowning achievement is that we finished! We really don't want to compete.